Get the largest available online compilation of excursion destinations, tour tips, ski resorts and much more in Tirol on your iPhone and iPad. 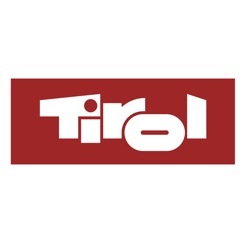 The official app from the holiday destination of Tirol helps you plan your holiday and is a useful companion while travelling – with tips, service information on over 300 places of interest, detailed tour tips, and ski resorts. All places of interest can be put on a wish list – so you can plan your holiday from the comfort of your couch, safe in the knowledge that you have not missed any excursion destinations. Keep informed on the weather situation for the coming few days in your resort and let the app show you which attractions are most suitable for the prevailing weather conditions. Make the most of your next Tirol Holiday! Let us know what you think of the updated version of the Tirol Travel Guide App!